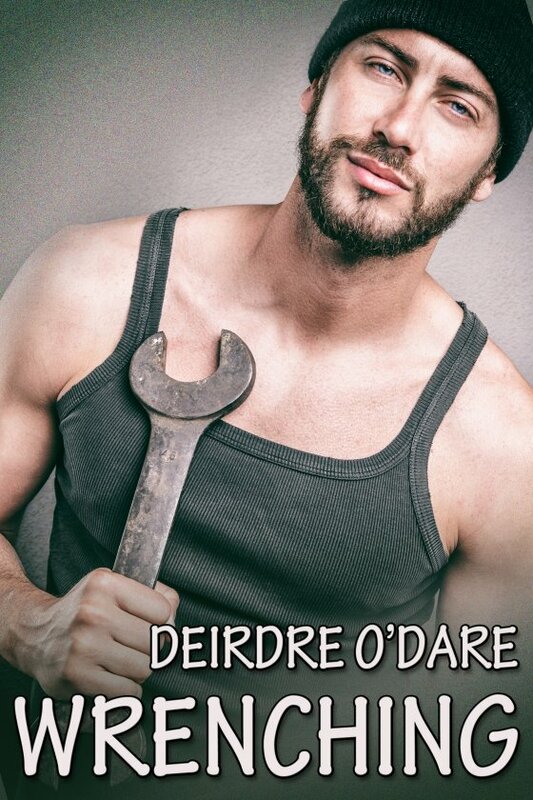 Wrenching by Deirdre O’Dare is now available! Mal has not had an easy life. He’s struggled to overcome a lot of roadblocks and hardships as he built himself a life as a mechanic, despite a serious handicap. He’s admired rancher Dan from afar but never dreamed events would play out to land him in the amazing spot of being able to do a real service for his secret hero. Can he maintain his cool and a safe distance when they’re sharing a house and working to resolve a dangerous mystery? Dan says he does not have employees but friends who help him run the ranch he inherited from his father. Challenged by his younger step-brother and facing dangerous sabotage to his truck, he enlists a young mechanic to help solve the puzzle. He’d always wanted a real brother or a partner he could trust but his step-brother is not the right guy to fill that role. How about Mal, who brings some fine but rare qualities to the Flying W?